Halloween Marshmallow Pops are a fun and easy Halloween dessert treat that you can make for your friends and family. Kids love them… and so do adults! Witches and zombies will come from far and wide to taste these delectable goodies! 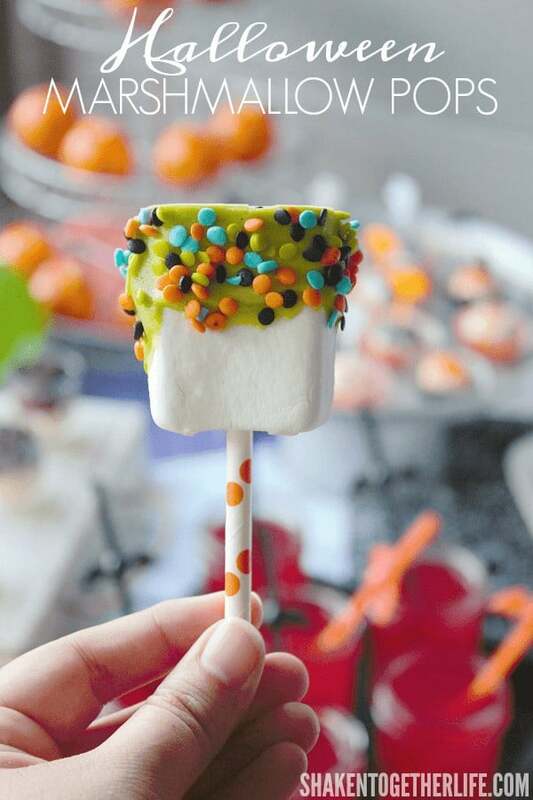 I’ll let you in on a little secret, Halloween Marshmallow Pops are EASY and FAST! You heard me, we’re talking mere minutes out of your day. I swear, I don’t know what I did without these things in my life! When I was putting together my list of treats and food for my costume party this year I knew I had to learn how to make these. 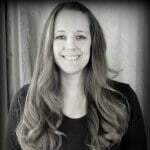 I was surprised to find that there isn’t much to learn! It all depends on how complicated or simple you want them to be, they’re totally customizable! Marshmallow pops date back to the 1400’s. Dracula’s mom used to make them for all of his friends…. Wait, that’s not right! I’m not sure where these beauties came from, but who cares! They’re so dang good! 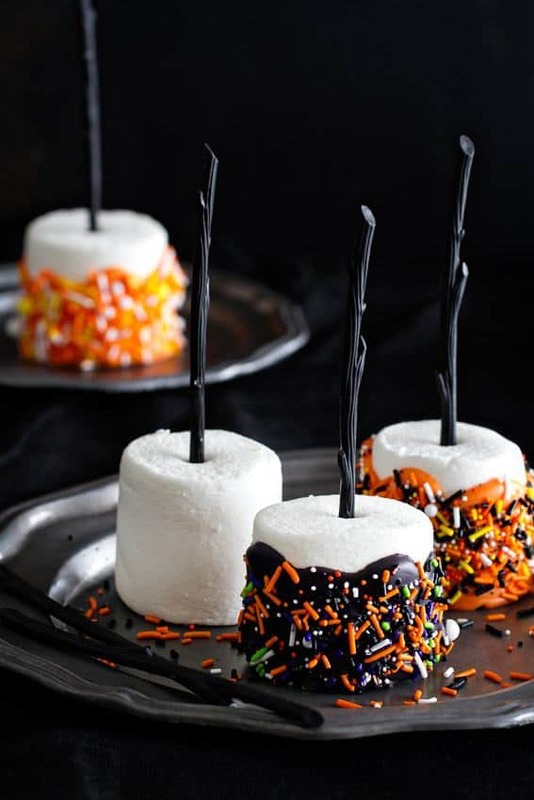 Halloween Marshmallow Pops are so delicious, your guests won’t be able to leave the tray alone. Luckily, you’ll have plenty of time to make extras and decorate your party to your little, or undead, hearts content! 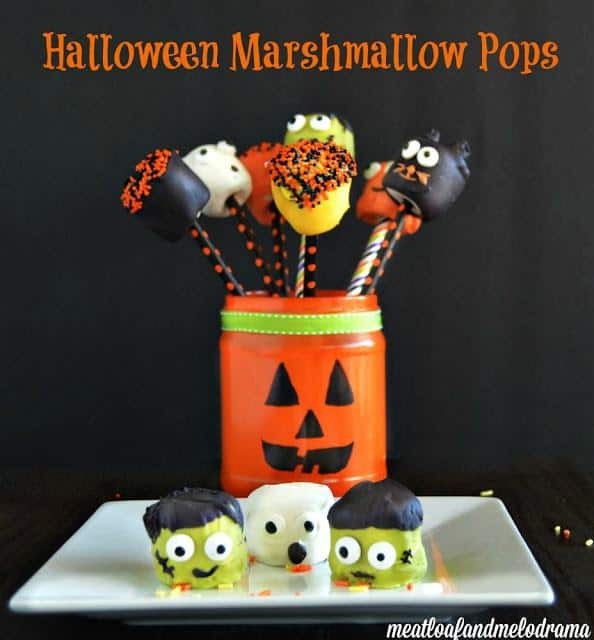 Look, I know this post is titled Halloween Marshmallow Pops. That being said, this paragraph seems pointless, right? WRONG! Marshmallow pops can be served at birthdays, Easter egg hunts, Christmas Parties — the possibilities are seriously endless! 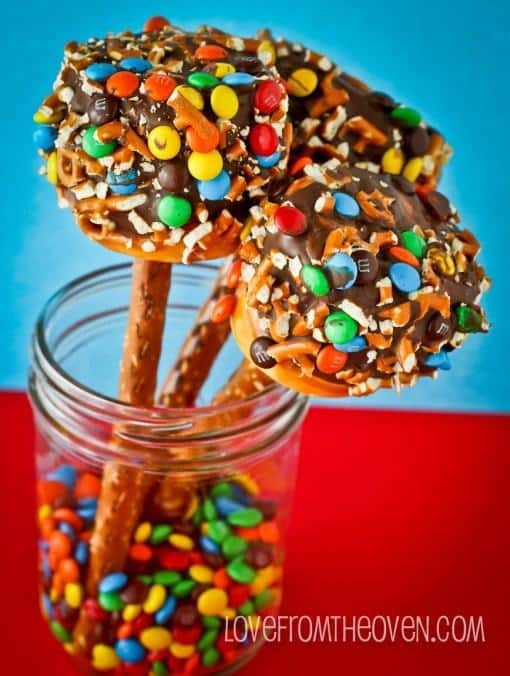 Simply change the color of the chocolate and the types of decorations or candies and BOOM! You have treats for any occasion. From My Baking Addiction :: Click HERE for the RECIPE Halloween Marshmallow Pops couldn’t be easier or more festive. Everyone’s going to want one the minute they get to your Halloween party! 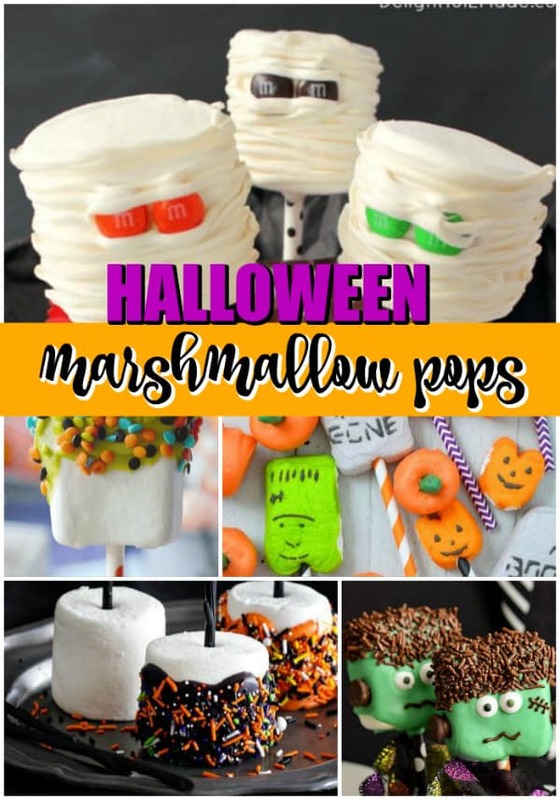 From Shaken Together :: Click HERE for the RECIPE Introducing the simplest Halloween treat ever … Quick & Easy Halloween Marshmallow Pops! 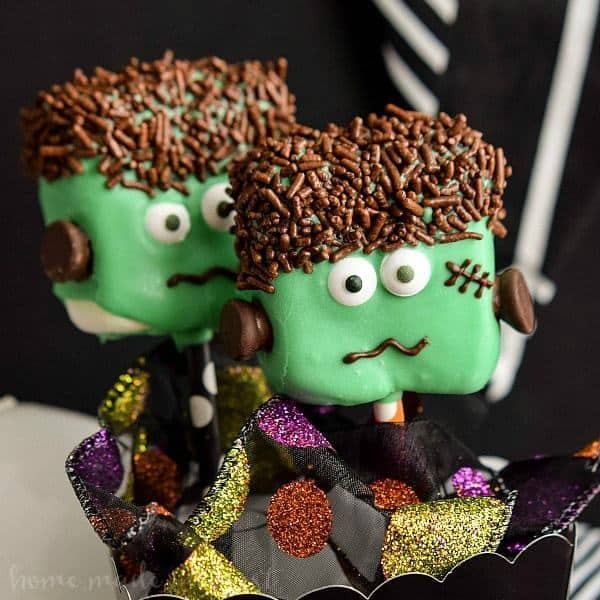 From Home made Interest :: Click HERE for the RECIPE These cute Frankenstein Marshmallow Pops are an easy Halloween dessert recipe the kids will love and they make great Halloween party food! 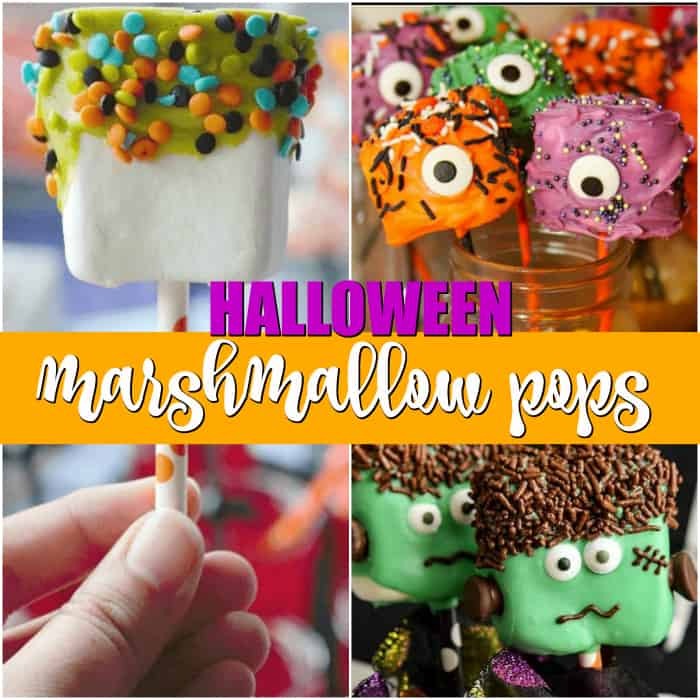 From Meatloaf and Melodrama :: Click HERE for the RECIPE These festive, colorful Halloween Marshmallow Pops are super fun to make and perfect for parties or treats for the kids. 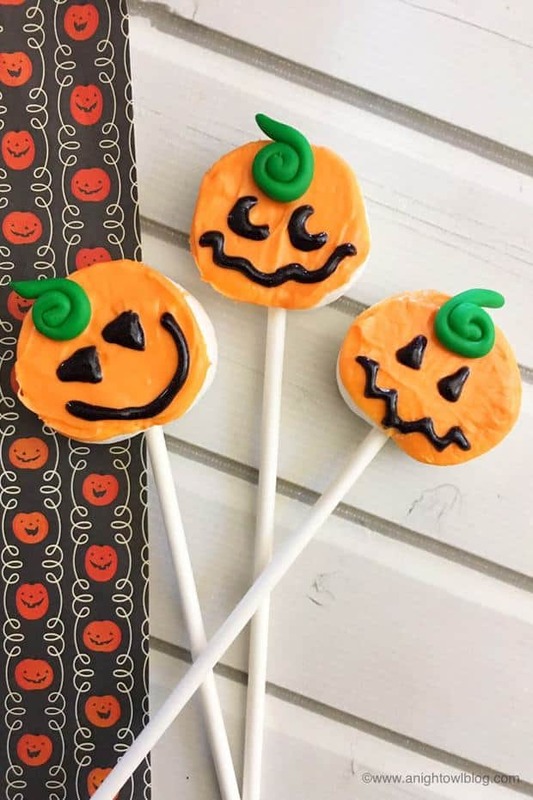 From What the Fork :: Click HERE for the RECIPE These fun pumpkin marshmallow pops are perfect for Fall or Halloween Parties or even Thanksgiving. They’re cute, festive, and easy to make! 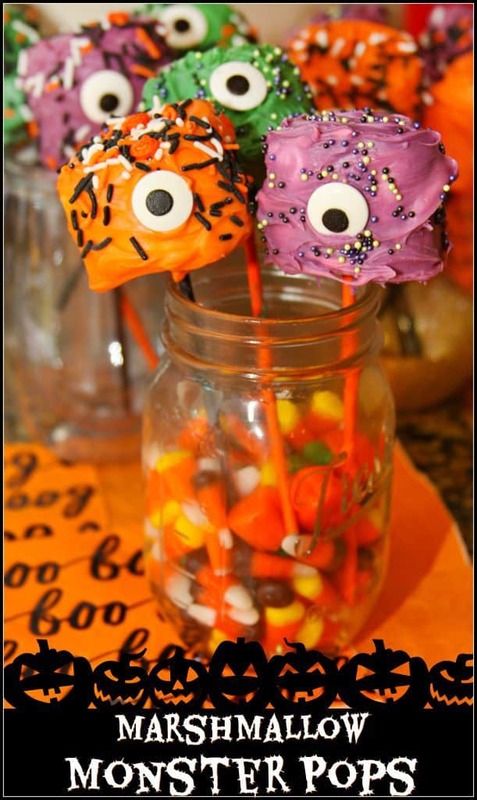 From Delightful E Made :: Click HERE for the RECIPE Let the Halloween BOO’ing begin! Have some friends, family, or neighbors that you would love to share some Halloween spirit with? 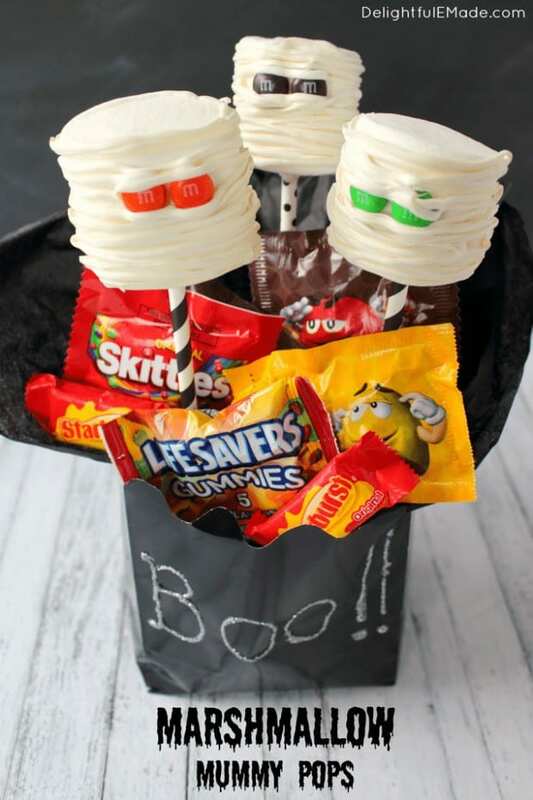 BOO It Forward with these fun Marshmallow Mummy Pops and share them in these fun and simple Halloween BOO Bags. From A Night Owl :: Click HERE for the RECIPE These Easy Pumpkin Marshmallow Pops are the perfect treat for fall, Halloween and more! 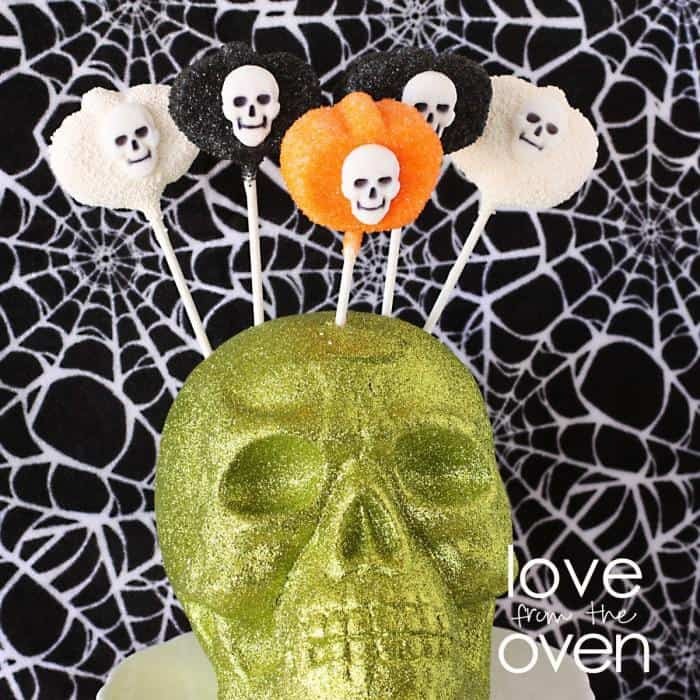 From Love from the Oven :: Click HERE for the RECIPE Marshmallow pumpkin pops for Halloween… with sugary skulls. 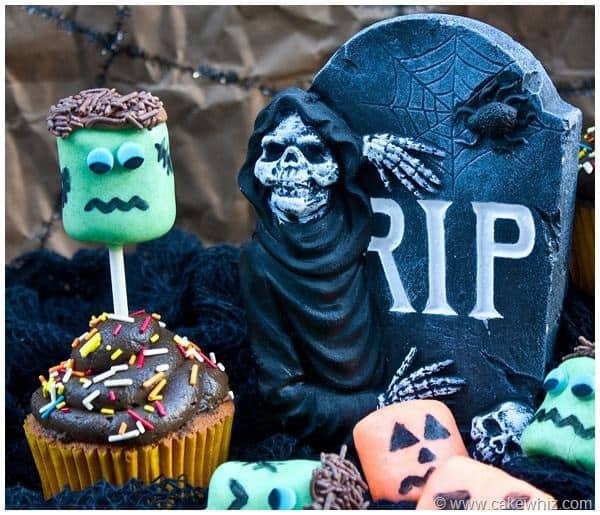 From Cake Whiz :: Click HERE for the RECIPE Use this step by step tutorial to make cute and easy Halloween marshmallow pops cupcakes. 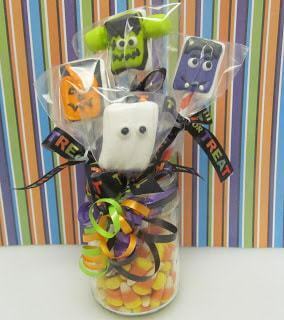 Requires simple ingredients and fun for kids Halloween parties! 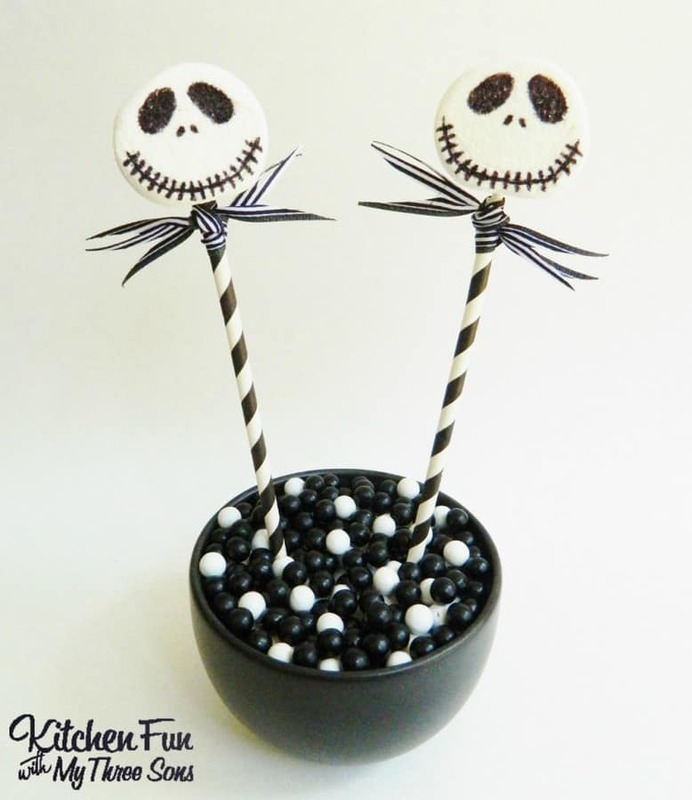 From Kitchen Fun :: Click HERE for the RECIPE We made these fun Jack Skellington Marshmallow Pops the other day & they are SO easy to make! 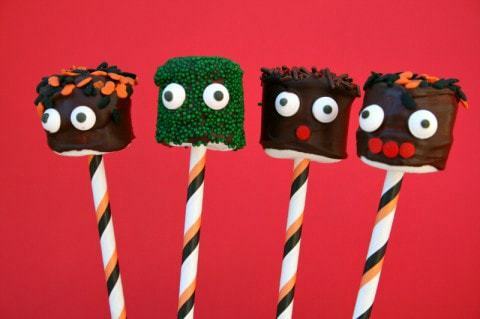 From Shockingly Delicious :: Click HERE for the RECIPE Marshmallows on a stick become Halloween monster heads with a little chocolate and some sprinkles — easy to do and they make a big impression! From Seduction in the Kitchen :: Click HERE for the RECIPE Monster Pops is a 3 ingredient fun Halloween treat! This easy kid recipe is a creative marshmallow idea that the kids will enjoy. You will love making these marshmallow pops! From Big Bears Wife :: Click HERE for the RECIPE These Marshmallow Monster Pops are a quick and kid friendly Halloween treat that everyone in the family will love! 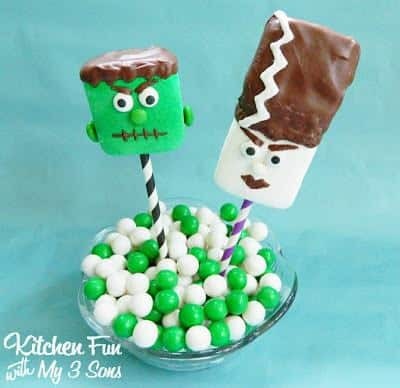 From Kitchen Fun :: Click HERE for the RECIPE We always love making Halloween goodies and had a blasts making these super easy Frankenstein & his Bride Marshmallow Pops today! These would be cute to take in for class parties at school and give Frankenstein to the boys & The Bride of Frankenstein to the girls. 15. 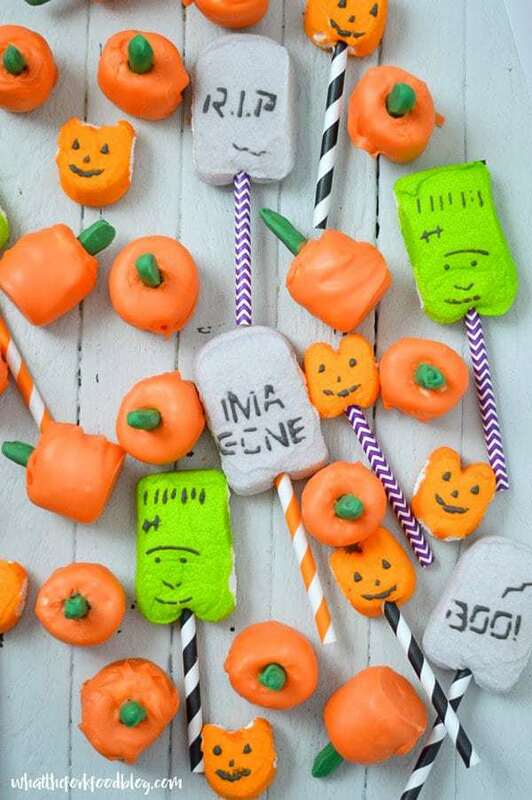 Halloween Creatures Marshmallow Pops! 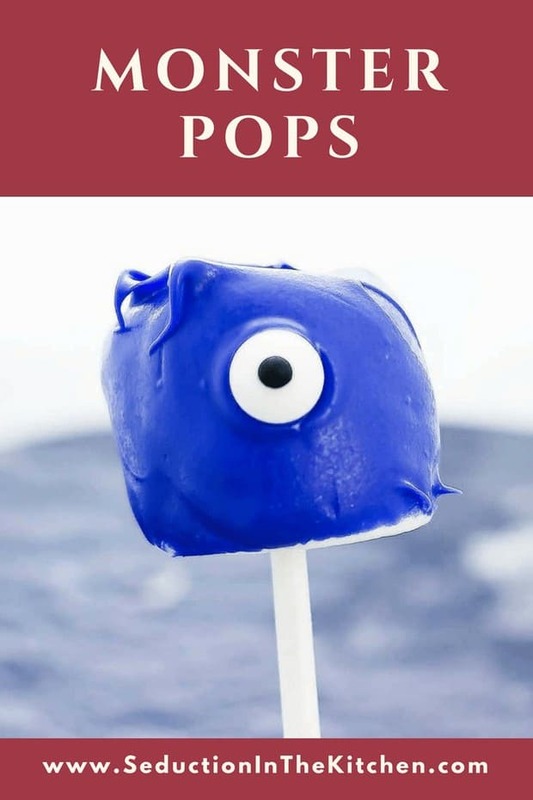 From The Freshman Cook :: Click HERE for the RECIPE These fun Halloween Creatures Marshmallow Pops are easy to make, and just plain fun! They are perfect to give together as a bunch, or separately! Where did y ou get the awesome black sticks from?